Outdoor banners are perfect for outdoor events, but how can they be displayed? 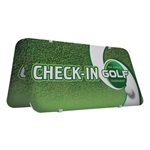 How about with one of our many outdoor banner stands. 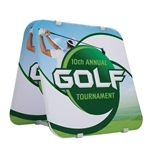 Whether it's a hanging banner stand or retractable banner, we're sure to have one that fits your needs.